This tool is used to encrypt and decrypt your private keys. It allows you to encrypt your private keys with an additional passphrase which you may then store as backup. 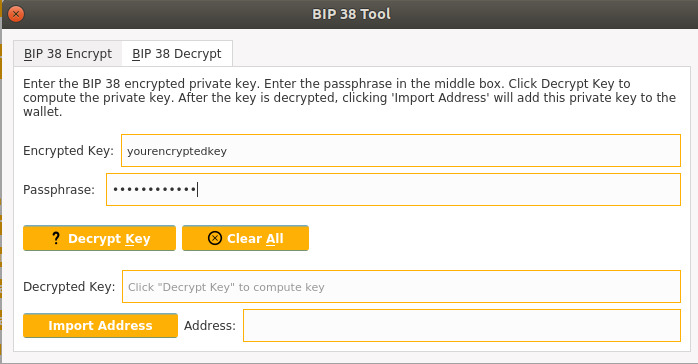 If someone should gain possession of your encrypted private keys, they cannot decrypt them without your passphrase, making BIP 38 encryption a safer method for storing keys. 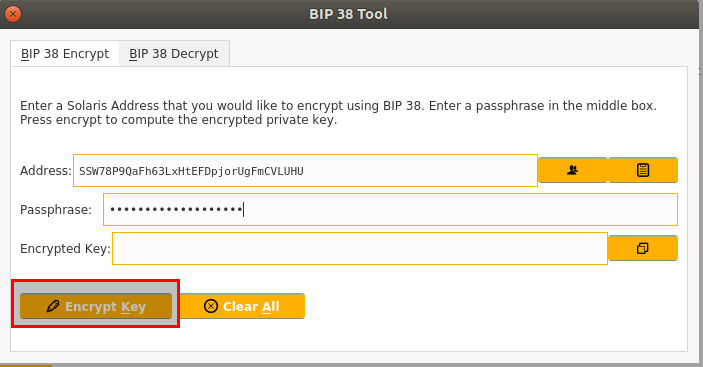 Go to Settings -> BIP 38 Tool. As indicated by the caption within the window, enter your XLR address and passphrase. Click "Encrypt Key" and you will see the new encrypted key generated. You may click the button to the right of the box to copy your newly generated key. Note: You can only BIP38-encrypt addresses currently found in the wallet or you will get the following error. Input your BIP38-encrypted private key and passphrase. Click "Decrypt Key" and you will see the private key in the Decrypted Key box. Click "Import Address" to import the private key for the respective XLR address. This will generated an encrypted private key. 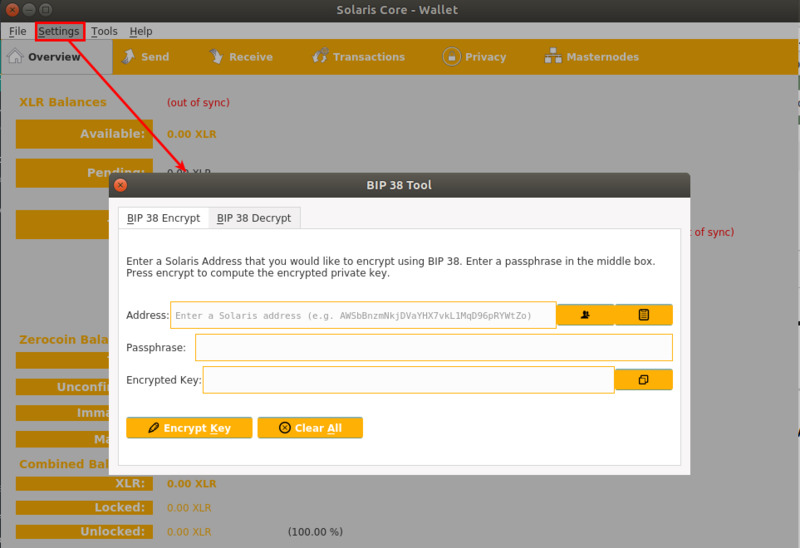 Note: You can only BIP38-encrypt addresses currently found in the wallet or you will get an error. This will generate a private key and automatically import it.